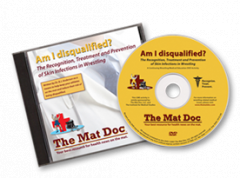 Purchase our popular "Am I Disqualified?" 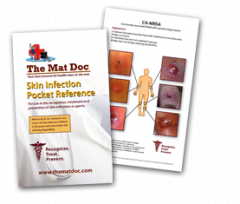 interactive educational DVD and receive the Skin Infection Pocket Reference guide absolutely free. For use in the recognition, treatment and prevention of skin infections in sports. A must have resource for coaches, trainers, athletes and others! This handy 8-page pocket guide helps you clearly and simply identify some of the most common skin infections in sports and gives valuable insight into your various treatment options. 10% discount for quantities of 10 or more. 15% discount for quantities of 100 or more. Call for more information. "Every program should have this DVD...!" Robert Hines, M.D., Team physician Oklahoma Wrestling Team 2008 only USA Olympic Wrestling Team physician. Purchased and recommended by USA Wrestling. Purchased nationwide by High Schools, High School Nurses, and professional sports Team. Includes all recommendations outlined by the NCAA, NFHS, USA Wrestling and the CDC. Guaranteed to reduce skin infections. 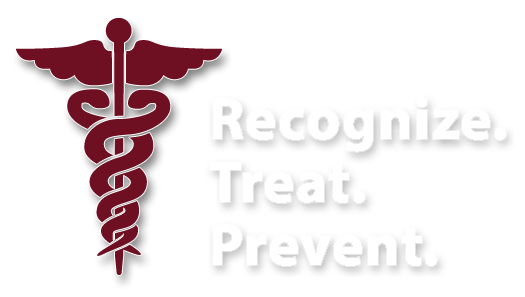 The Recognition, Treatment and Prevention of Skin Infection in Wrestling. The FIRST Educational DVD of it's kind to thoroughly address skin issue in athletes! Over 70 color photos to reference as an educational tool. 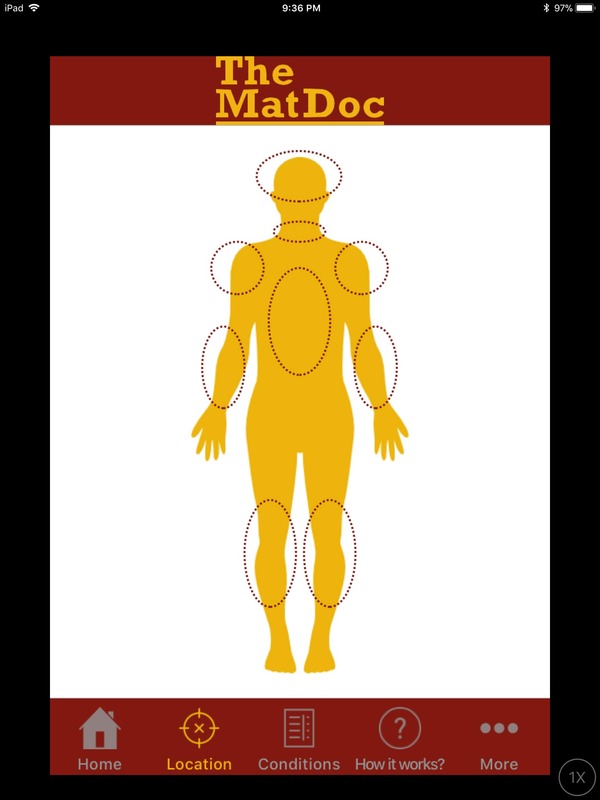 Downloadable PDF's with concise outlines on each infection. 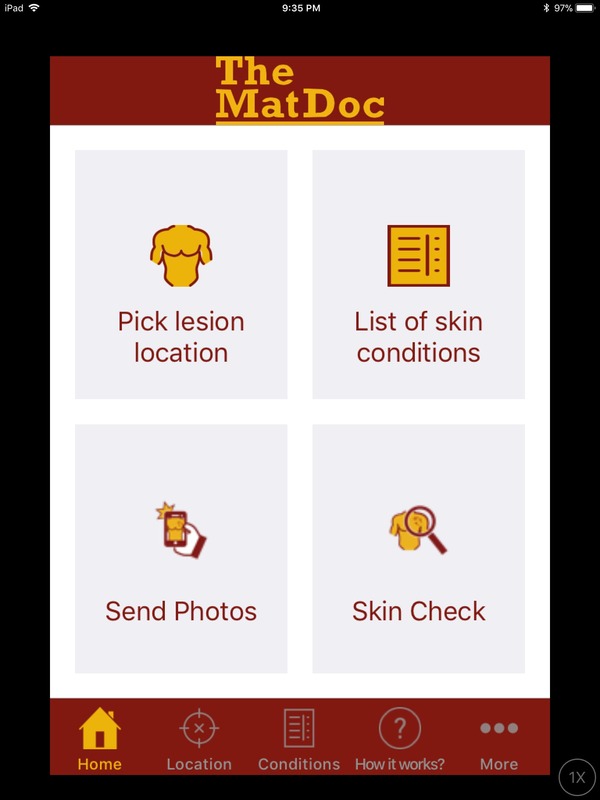 The Mat Doc skin app allows users who work with wrestlers or any athlete to quickly determine what type of skin lesion may be present. Application is ideal for coaches, referees and even parents who need a quick, simple guide to aid in rapid identification of common skin infections. 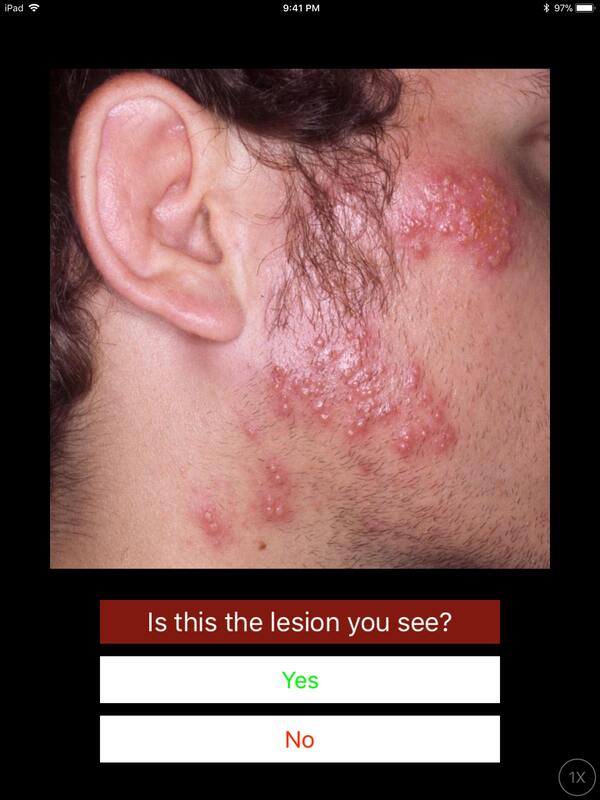 Utilizing a bodygram, the user clicks on the area of concern, and then photos of several skin conditions appear. Click on the one most representative of your athlete and a description with specifics of the condition, treatment guidelines and infectivity are listed. 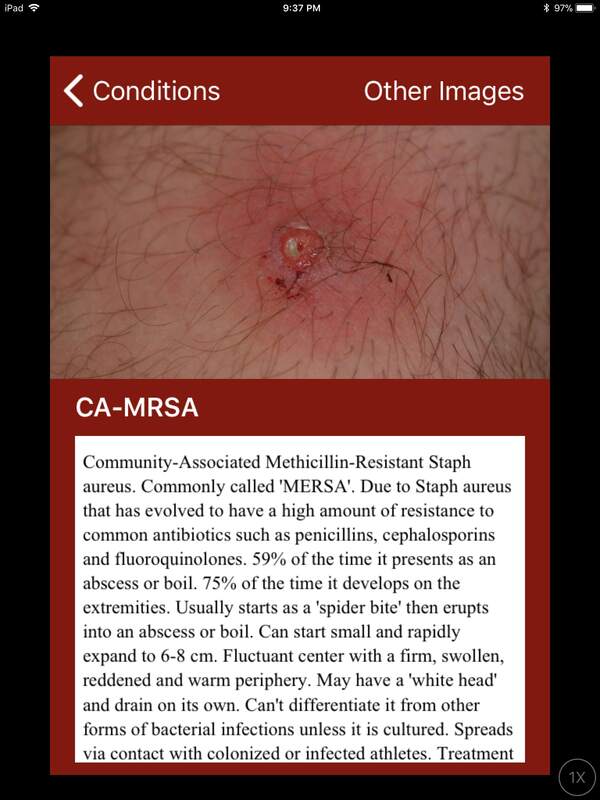 For those who already know the condition, a list of skin infections is presented. Clicking on specific conditions allows the user to access almost a hundred photos representative of these infections. A description follows addressing all the specifics on these conditions. 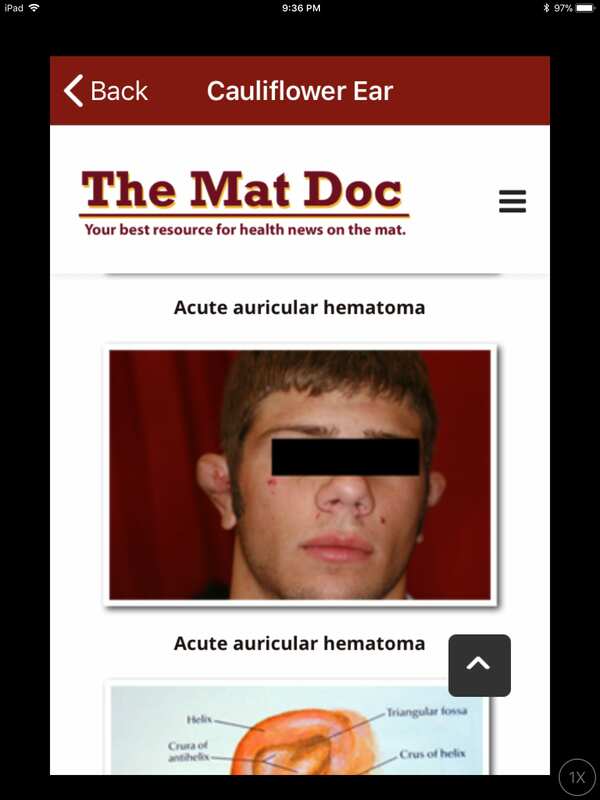 "...this tool should be available to every coach, athletic trainer and wrestling official. The photographs , disease specific information and the review of the treatment options are critical to help keep the athletes healthy and to help you do the right thing!" "Must have for youth coaches I always have a phone nearby. Having a resource to calm down nervous moms or over zealous youth officials has been invaluable. Thanks for doing the hard work of putting this together." 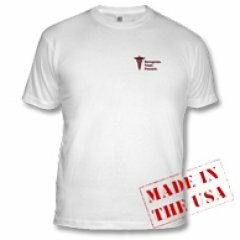 100% cotton, Hanes Authentic Tagless T-shirt is preshrunk and durable for long-lasting wear. 100% cotton sleeveless T-shirt from Anvil is what to wear when you workout. 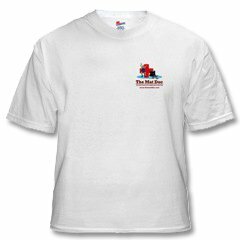 100% cotton, Ringer T-shirt has made a fashion comeback, and this is a popular favorite. 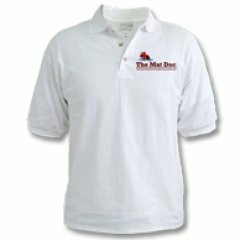 100% cotton, golf-style collared T-shirt is comfortable and lightweight with stylish wood-tone buttons. 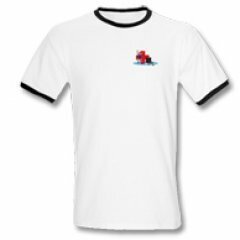 Ultra-fine, combed ring-spun cotton, this T-shirt is lightweight and gets softer with each washing.